A living green wall or vertical garden can beautify and enhance your personal environment. 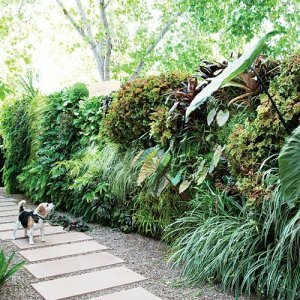 A green wall can be positioned and built in or outdoors to soften and screen ugly walls and fences. You can create a dramatic, artistic and colourful visual statement with a green wall that can be portable or fixed. There are unlimited design options for a living green wall. When planning a vertical garden you would need to take into consideration the required size, aspect (will the wall be in sun, shade or wind) include an integrated watering and drainage system and be highlighted with appropriate lighting so you can enjoy the garden at night. The benefits of a green wall are many – indoors they beautify and soften walls, improve air quality, calm the senses and reduce stress. Generally they improve the look and feel of the indoor environment and inspire wellbeing. An outdoor construction can screen and soften ugly fences and walls, offer buildings a form of insulation against the hot summer sun and reduce temperature fluctuations. As well as dampening noise pollution, it is believed that a living green wall can reduce heating/cooling electricity costs by up to 20% and contributes to making our world greener particularly in spaces where concrete reigns. 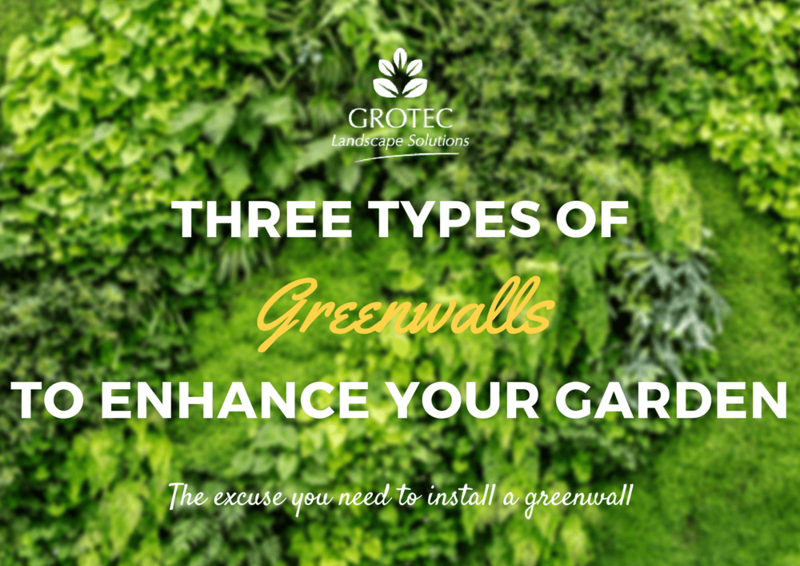 Experience the benefits of a green wall that is built for you by Grotec Landscape Solutions. 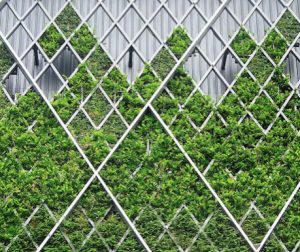 There are three categories that can describe vegetated wall surfaces – green facades, living walls or vertical gardens, and retaining living walls, which all vary according to the types of supporting structures that are provided. Green facades are systems that grow vines and climbing plants combined with cascading ground covers, put into supporting structures, and then developed as a green wall with consideration of the ambient climate, choice of species, depth of soil bed, orientation, and the plant nutrition. Living walls or Vertical Gardens will support a greater variety and density of plant species, and will display a lush mixture of ground covers, ferns, low shrubs, and perennial plants. 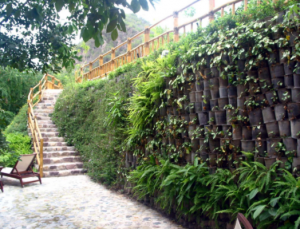 Retaining living walls are designed to stabilize a slope while supporting the vegetation contained in their structure. Find the space, call the experts, watch your green wall take shape. 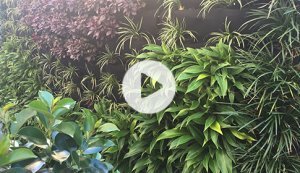 Check out our video below or check out our vertical garden services here.